Gorgeous! Apparently we're having a very good year for blossom in the UK - no idea why but I'm loving it! Gorgeous photo. I think the blossoms have been amazing this year...or maybe I'm just getting old and appreciating them more?! Wow, what gorgeous blossom. This is a fantastic picture. Such a lovely photo. 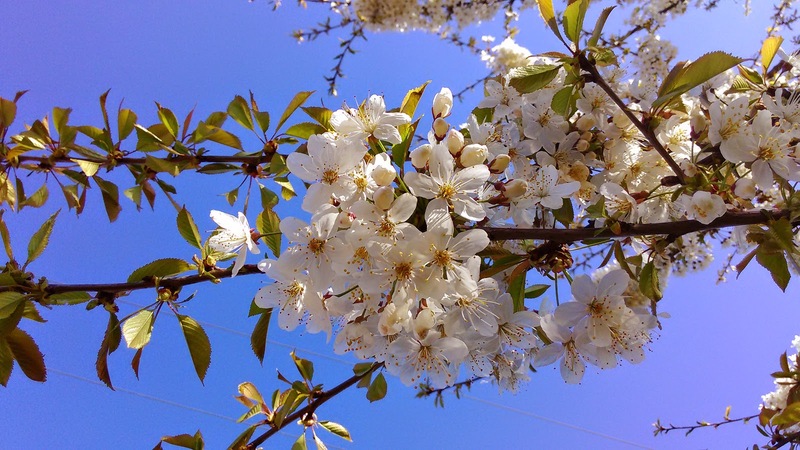 Love the blossom against the blue sky. Makes me feel all summery and happy.